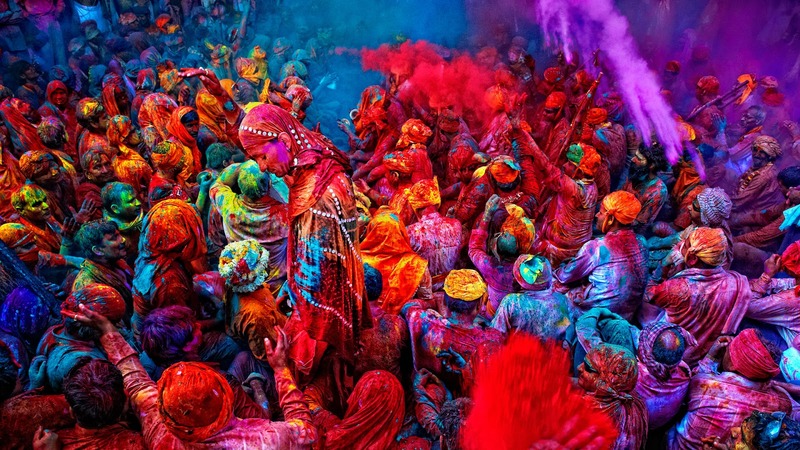 Colourful, cultural, crazy… Here’s a list of our top 15 wildest festivals around the world and what better way to experience and country and its culture! The insane La Tomatina sees tens of thousands of revellers converse on the small town of Valencia in late August to participate in the worlds largest food fight, with over one hundred tonnes of tomatoes thrown in the streets. Most people aren’t aware but La Tomatina is actually a week long festival that sees music, parades and fireworks along with the all famous tomato fight. The iconic Burning Man festival is a week long event in Black Rock Desert in Nevada held annually at the end of August. 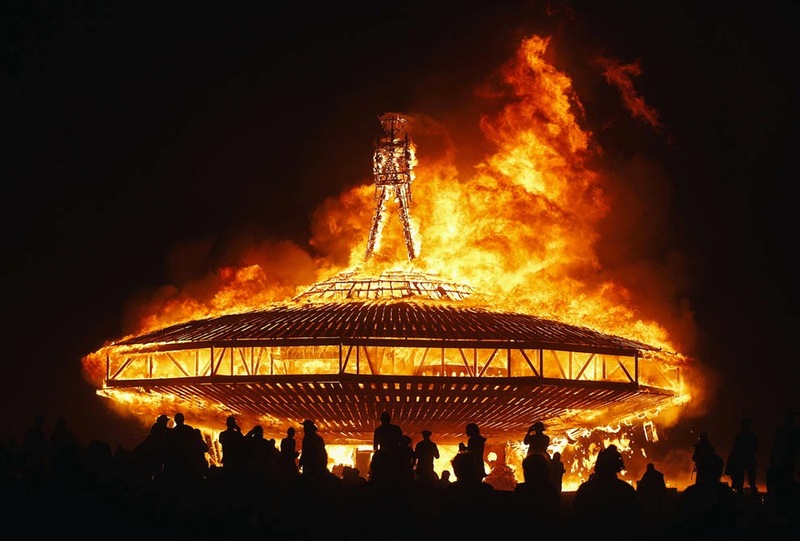 It is a cultural, artist, expressionistic and crazy festival which people travel from all over the world to experience and take part in the ritual burning of a large wooden effigy. Rio’s Carnival. held in February of each year is a crazy festival that is considered to be the biggest carnival in the world. 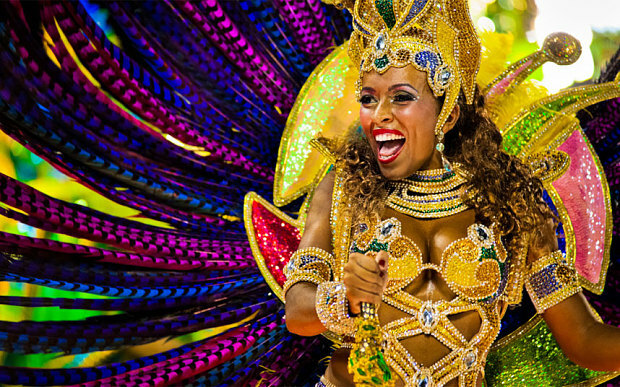 Carnival sees over two million people partying in the streets of Rio de Janeiro in elaborate costumes and aboard floats in the numerous parades. Holi Festival is truly a festival of colour as it marks the beginning of Spring and is celebrated by Hindus all around the world. Held at the end of February or early March, participants throw brightly coloured powders and scented water at each other. Another part of India that is high on my bucket list is Rajasthan, a state of India which has been on my bucket list since I first saw photos of this stunning region! I would book one of the Rajasthan tour packages to ensure I get the best experience possible of this incredible part of India. The Day of the Dead is celebrated in November in Latin America and honours the dead through festivals, food, drink and parties. 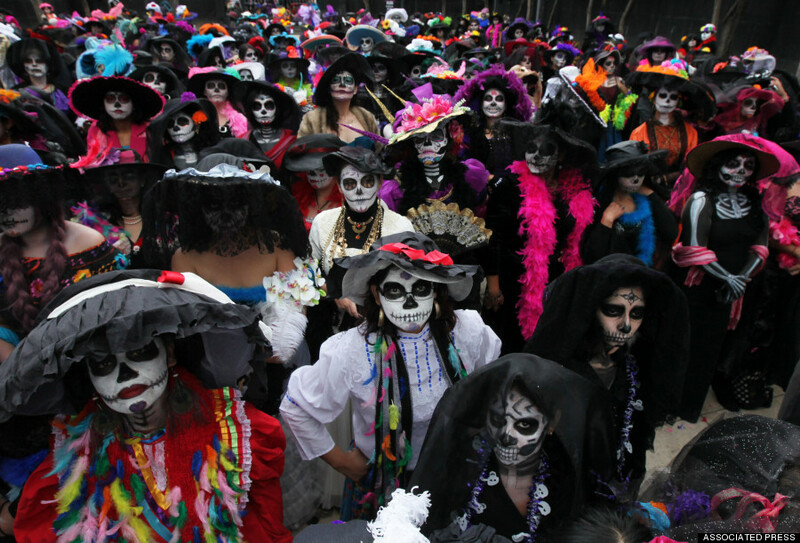 On Dia de los Muertos, the dead are considered to be a part of the community, awakened from their eternity of sleep to celebrate with loved ones. Skeletons and skulls appear everywhere and cemeteries become the site of parties and celebrations. 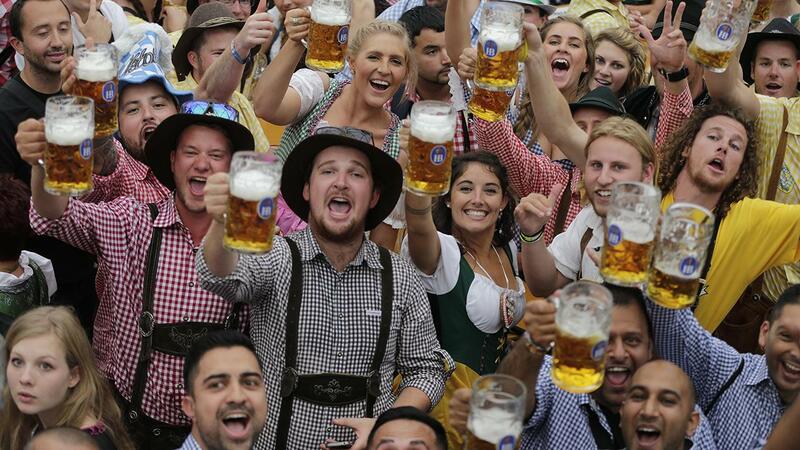 Held in late September, Munich sees more than 6 million people attend the world’s largest funfair where millions of gallons of German beer are consumed. 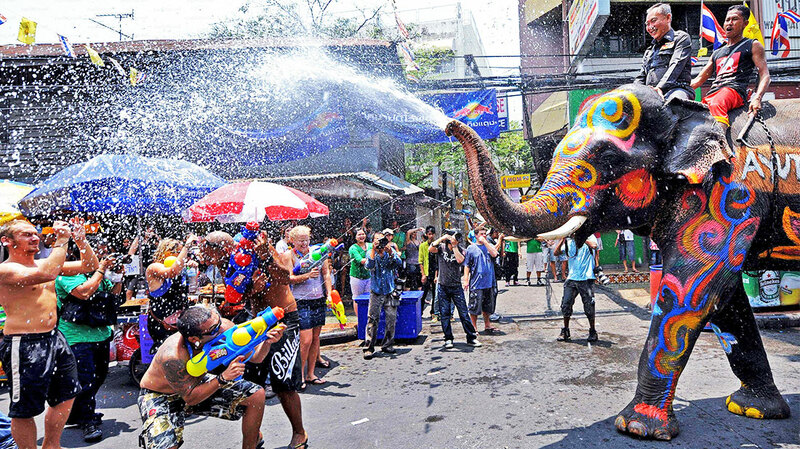 The crazy festival of Songkran is held in April and celebrates the Thai New Year and its a guarantee you’ll get wet. 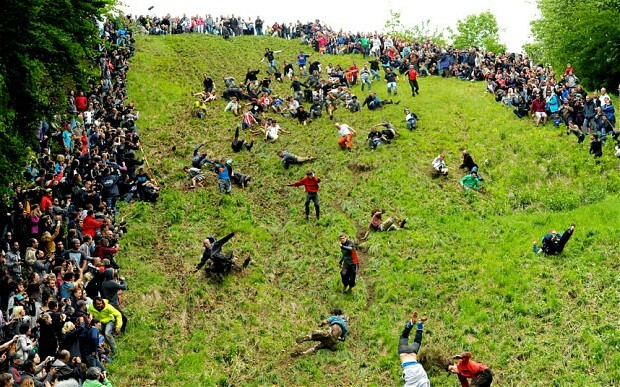 Held in Spring in Gloucester in England this festival pretty much speaks for itself where a 7-9 pound Double Gloucester hard cheese is rolled down a steep hill and participants race down the hill with the winner receiving the cheese as a prize. Ridiculous amounts of injuries follow. 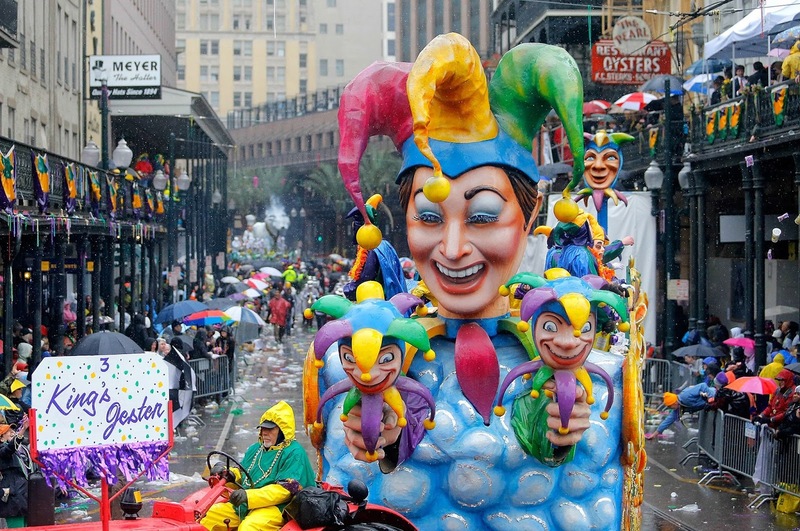 New Orleans is the home of Mardi Gras, a crazy festival of parades, costumes, drinking & beads that sees partyers descend of Bourbon Street and surrounding areas in January. Dress to impress & deck yourself in beads and you’ll fit right in. Make sure you try a hand grenade or jester as your choice of beverage. 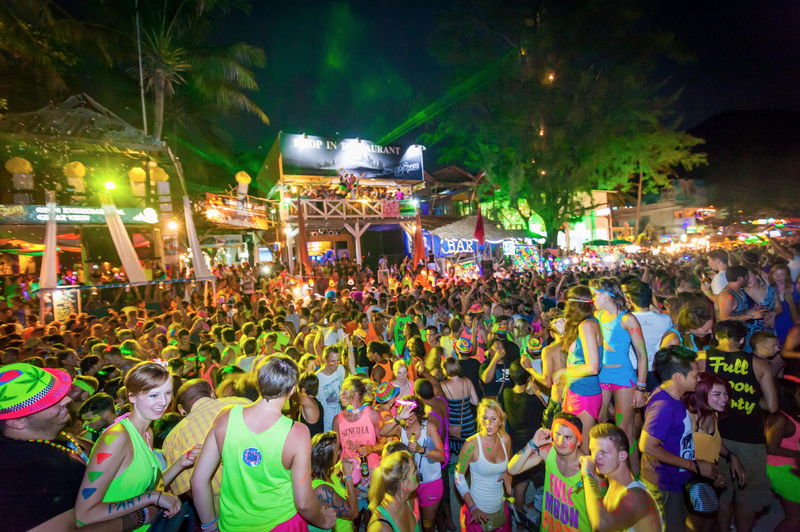 The biggest full moon parties are held on Haad Rin beach in Ko Pha Ngan in Thailand and see hundreds of thousands of party animals dance the night away on the beach. Anything goes each month here on Ko Pha Ngan including copious amounts of drinking from buckets, fire skipping ropes and fire slides. Slather yourself in fluro paint & you’ll fit right in. Tomorrowland is the largest annual electronic music festival held in the world, taking place in Belgium in the last week of July. 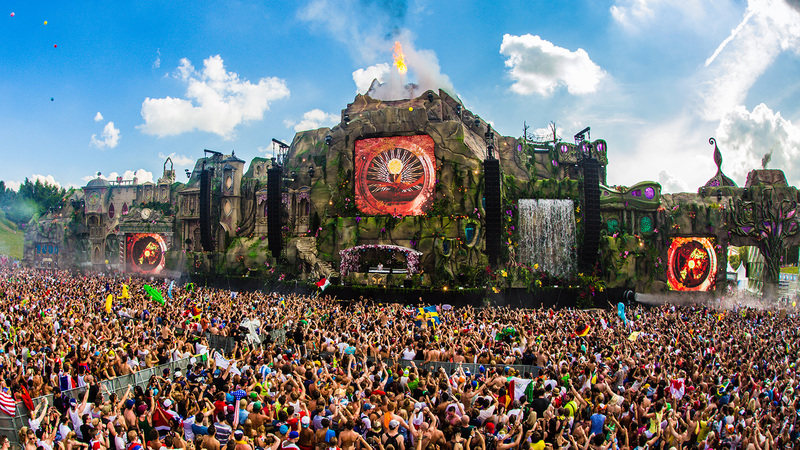 The three day festival sees over 400,000 people descend on Boom in Belgium. March 17th sees the Irish and Irish-at-heart all over the world celebrate Saint Patrick’s Day. 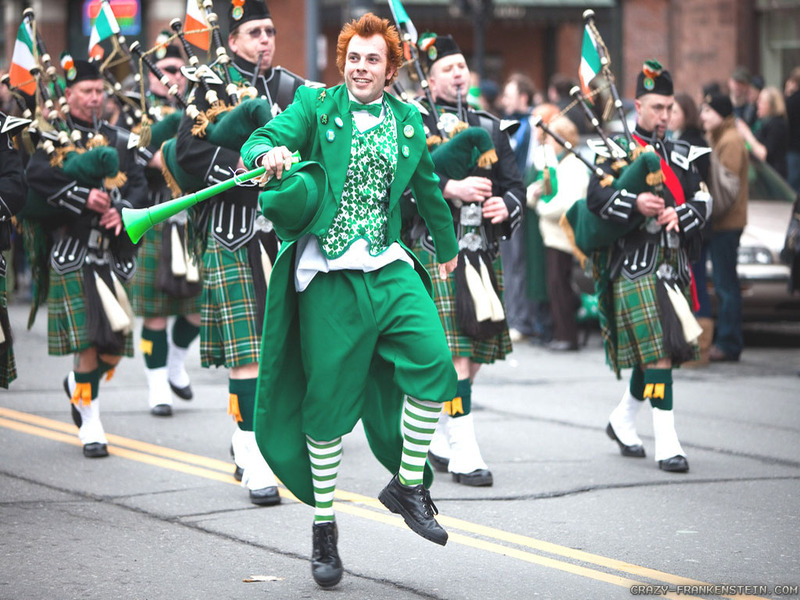 From it’s originals as a religious feast day for the patron saint of Ireland is now a intenational celebration of Irish culture with parades, drinking, dancing, leprechauns, festivals and a ridiculus amount of green. 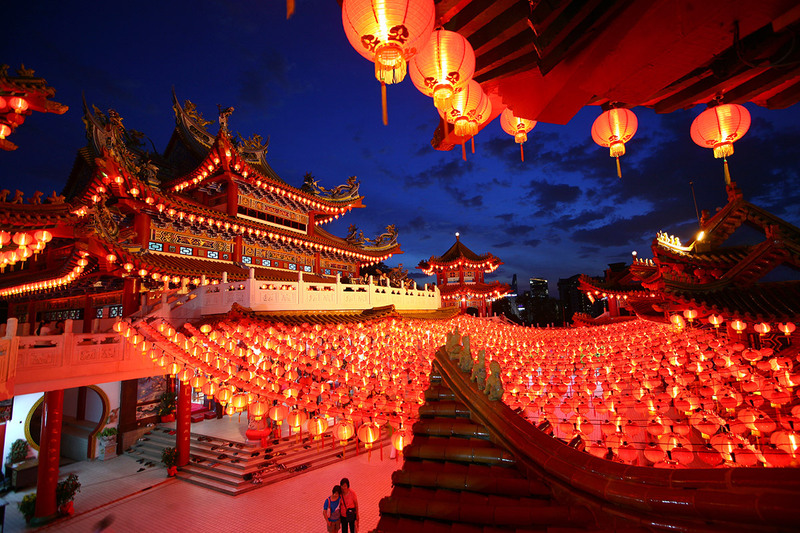 Chinese New Year is the longest festival in the Chinese calendar and celebrates the Chinese New Year which is celebrated through festivals, feasts, fireworks and gatherings. The dates fall throughout January and February each year and are one of the biggest celebrations in the world. 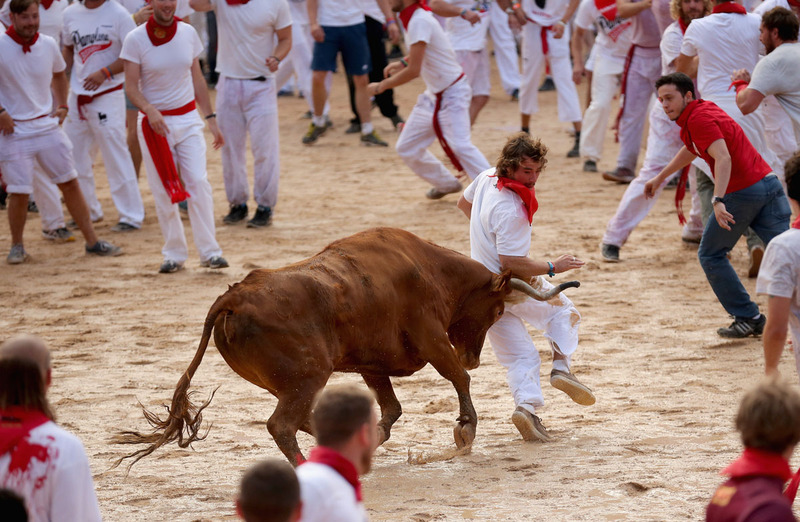 For the eight days, thousands swarm to the small town of Pamplona, Spain, to drink massive amounts of wine and take part in or watch a load of people run for their lives from a pack of angry bulls. 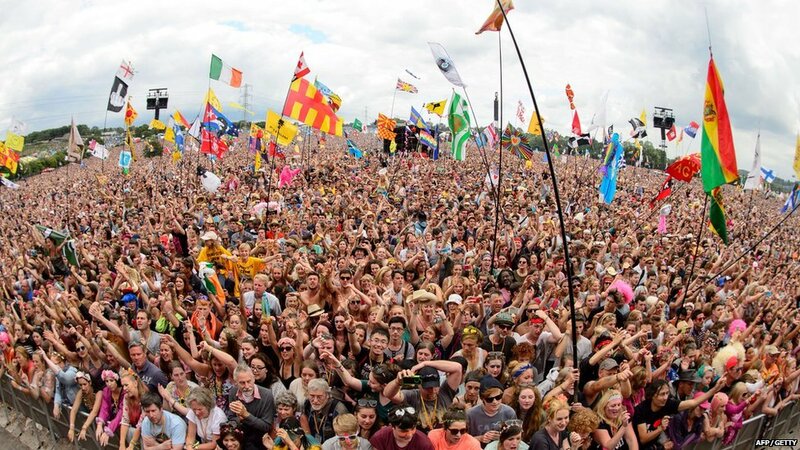 Glastonbury Festival is a music festival that takes place in Somerset, England. Late June sees five days of music, dance, comedy, theatre, circus, cabaret, and other much much more. Which festivals would you love to attend?